Her second work to debut in Cannes Un Certain Regard, the critically acclaimed SALT OF THIS SEA (2008), garnered fourteen international awards, included the FIPRESCI Critics Award. It was the first feature film directed by a Palestinian woman and Palestine?s 2008 Oscar Entry for Foreign Language Film. 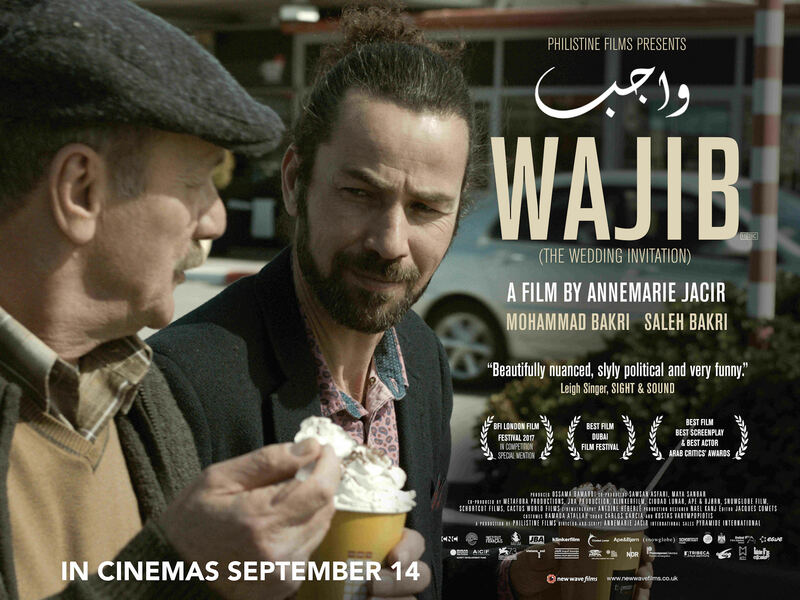 WHEN I SAW YOU (a New Wave release) won, among other awards, Best Asian Film at the 63rd Berlin Intl Film Festival and Best Arab Film in Abu Dhabi FF. It was also Palestine?s 2012 Oscar Entry. Notably, the film?s production was entirely Arab‑financed with all Palestinian producers marking a new trend in Arab cinema. What?s most impressive is the way Jacir reveals these complex intertwining backstories through apparently incidental interaction. With a superb lightness of touch she uncovers the ancient hurts with which these characters wrestle, laying bare the raw nerves beneath the polite smiles...a film of surprising warmth and generosity, which takes a situation riven by discord and turns it into a melancholy song of resolution. ?A whip-smart, moving comedy of family and community.? "It is the apparently apolitical normality of Wajib which paradoxically is its most powerful political message.? "Annemarie Jacir?s comedy-drama interleaves simmering tension in the Israeli town with moments of terrific humour." This funny-poignant Palestinian ?road movie? trundles down every known or imaginable street while giving the sardonic, critical welly to ethnic and political tensions. ?Proof, if any further evidence was needed, that Jacir is the pre-eminent female filmmaker in the Arab world, whether she?s working as a director, producer, editor or screenwriter.? 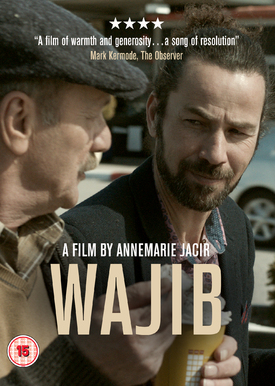 ?Annemarie Jacir's characters may not leave the city of Nazareth as they take a circular road trip in Wajib but the emotional distance they travel is considerable. ?